Off On A Tangent: Dropcam discontinued support for Dropcam Original. Dropcam discontinued support for Dropcam Original. Wow. A change of heart. 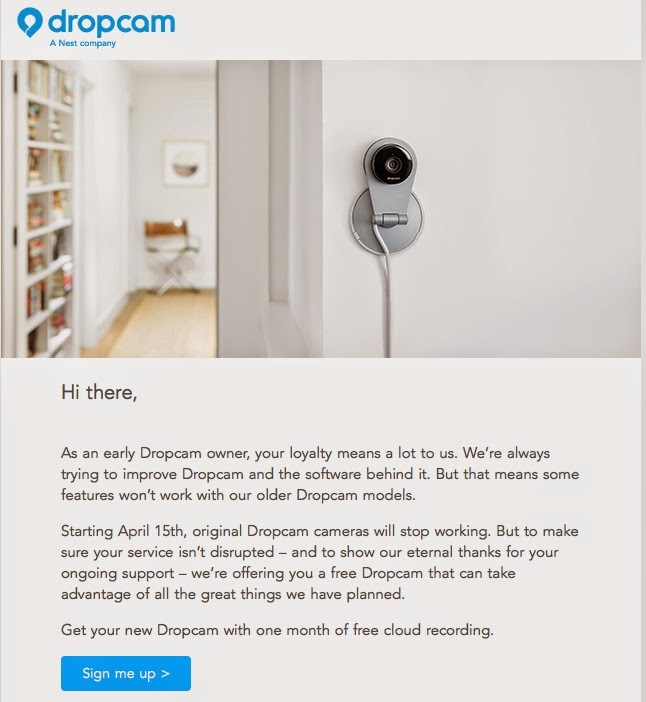 Starting April 15th, original Dropcam cameras will stop working. But to make sure your service isn’t disrupted – and to show our eternal thanks for your ongoing support – we’re offering you a free Dropcam that can take advantage of all the great things we have planned. Dropcam discontinued support for Dropcam Original. You can’t change WiFi network names. That’s the worst customer support. It's only a network name. Why can't they keep a webpage up for existing users? Will now have to look into something new. Never compromise because of cords. With two-weeks of battery life, you will never miss a moment with Butterfleye. 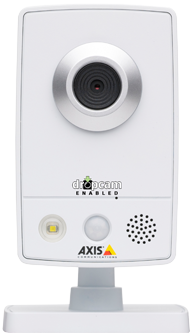 Full HD live-streaming combined with the flexibility to place your Butterfleye anywhere. Every monitoring camera owner knows that those annoying notifications are a waste of your time. Only Butterfleye combines superior on-board sensors, video analytics, and processing power to deliver notifications you want. Not annoyances you don't. For those moments that matter, we provide one free day of rolling cloud storage so that you never miss a moment. Never get nickel and dimed - that day is yours for life. JetBlue: To print boarding pass, select Continue.